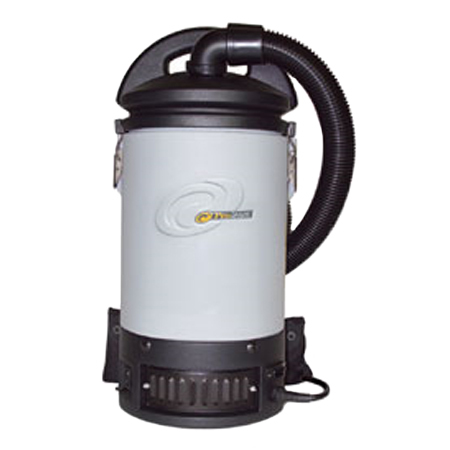 The ProTeam Lil Hummer is an electric back pack vacuum. This unit is lightweight which reduces the chances of fatigue. The ProTeam Lil Hummer is portable and can be laid down instead of worn. This unit is UL safety tested and is made from polyethylene that absorbs shocks allowing it to withstand rough use without damage.